All posts published in cronological order. Only for a 2 weeks time you can buy your favorite red, white of rose' Magnum Italian wine (1.5 litres) at Flavio's for 25.00 F$ only. Hurry up! A new year has begun and it is our pleasure to announce the arrival of some gorgeous new Italian wines in our Nadi store. These new additions to our already vast range will allow you to explore even more the original taste of Italian wines and will enrich your tables with exquisite fragrances from our motherland. Amongst our new arrivals you will notice the appearance of a new winery, Cantina Paradiso, from Cerignola, in the sunny region of Puglia. Let us tell you a bit more about this winery and its wines. Flavio's Italian shop is a really dynamic environment. We're loud and passionate, we change and we are impulsive. We like International Milan and Ferrari (I know is not going well this year, don't mention it), we love who we are, we feel what we do and where we do it. We like to think of our Nadi shop like a little Italy in Fiji... all concentrated in a single room. Believe me when I say, this Fiji store is a shopping experience on its own! But since Fiji is not that small a place, for all of those who cannot enjoy Flavio's "shopping experience" in Nadi, we have developped an online system to allow you to understand our products in detail... did I mention it gives you the prices too? Our system is so easy that all you need is an internet connection and an email address. We're trying our best to make this as convenient and environmentally friendly as possible. We're publishing our price lists and we only send updates online. We do still receive emails requesting copies of our price lists via email or fax, so we've decide to treat this post as a little "user manual" for both our new and long-term customers to give you the feel of and understand the "Flavio's Italian Shopping experience". Also, if while we're out sourcing authenitc Italian products for you, we might not be able to answer your personal queries immetiately, so plase log on to our "price list area"...all the info you're looking for might already be there. 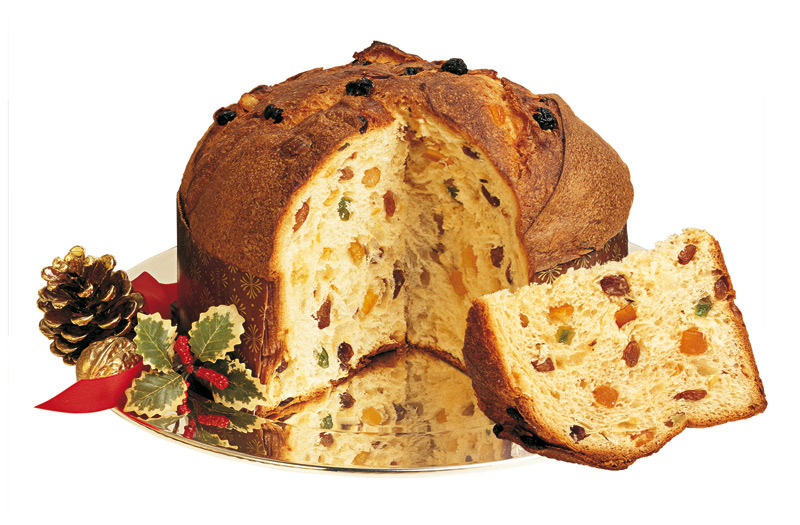 A classic holiday dessert from Milan, Panettone is as traditional to an Italian Christmas as Lovo is for a Fijian feast. 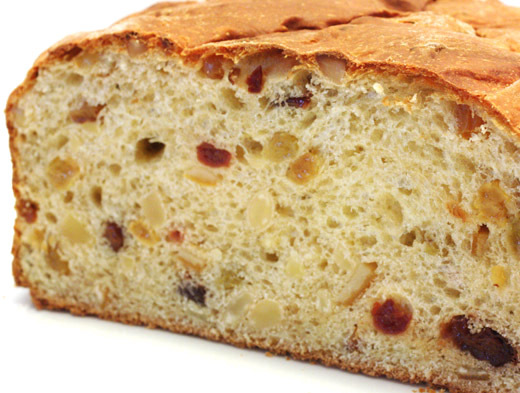 Give your family another reason to enjoy the holidays "the Italian way" with this delicious sweet bread! Being Italians living in Fiji we've always complained about the lack of real Italian pizza. A real Italian pizza is hard to find if you don't have authentic Italian ingredients. Ok, you can use cheddar cheese instead of mozzarella or tomato sauce (ketchup) instead of Italian tomato puree but once you have had the chance to try a pizza in Italy, or a pizza made with Italian ingredients, you will realize that is the first REAL pizza you've ever had. Now there is no need to fly to Naples to taste a genuine Italian Pizza. Thanks to the range of Italian ingredients you can find at Flavio's Italian Shop, even you can make an Italian Pizza with a capital "P" that will surspise your friends and loved ones and will make them ask for more. Just follow the recipes below for thin base traditional pizzas or a thick base sicilian style pizza with the right authentic Italian ingredients from our shop (marked with an "*") and your success is guaranteed. It came to our attention that some visitors of the old version of our web site had problems accessing the collections of furniture on request. To solve this issue we have created a new area to access these collections that can be accessed here or by clicking on the banner on the "Furniture Shop" page. Once you are on one of the collection pages you can view a large image of the items or click on the email icon to send us an enquiry about a specific item or set. Following the success of our Italian fresh cheeses it is a great pleasure for all the staff at Flavio's to announce the arrival of one of the best and most famous cheese: Mozzarella. the first limited stock is in store since yesterday and is already selling very well. Before you jump from your chair and run to the shop or you pick up your phone to call us, let us reassure you that we will bring mozzarella regularly but it is important you understand that it is much better if you place your order for this item before we organize our next shipment. It took us a while to decide how to improve our internet presence but after an intense month of work we can finally welcome you on the pages of Flavio's Italian Shop new web site. If you are familiar with the previous version of this web space you might notice that is all completely changed. The idea behind this new version is to provide more information to our visitors. Information that will not only cover the vast range of the products you can find in our Nadi store but also to provide updated news about upcoming new products, Italian recipes, local food and beverage news, suggestions, opinions, local events, information about our company Global Premium Service, photos, videos and much much more. In brief we made this new version of our web site more like a blog (online magazine) than a real company profile.